My biggest fear in life is losing one of my children — and it’s very likely the biggest fear for all parents. The baby lifesaver app, findERnow can help alleviate your stress — and for every single parent out there reading this post, I urge you to download this app now. I’ve never felt so passionately about one of the products I’ve covered before. Phyllis and Andrew Rabinowitz suffered the most horrific of tragedies when their worst nightmare came true for them 10 years ago. It started when their beautiful 9-day old daughter Rebecca was having difficulty breathing. Phyllis and Andrew took her to their local ER asking that their daughter be admitted. The doctors shrugged them off as paranoid and neurotic and said Rebecca’s symptoms were that of the common cold. Days later, Rebecca passed away. She would never become the little girl her parents would watch at ballet recitals or sports games; her dad would never be walking her down the aisle. It’s horrific and so tremendously sad – but the most maddening aspect is that their loss was preventable. It was later learned that Rebecca contracted an enteroviral infection – a potentially life-threatening illness in babies. The doctors at the ER weren’t able to recognize that Rebecca’s symptoms were attributable to this virus since the symptoms that show up in babies are different than the symptoms that show up in their adult patients. Plain and simple – the hospital’s ER wasn’t equipped and educated enough to recognize the treatment Rebecca needed. Phyllis and Andrew were grief stricken and depressed, as all parents would be. But instead of numbing themselves and retreating as many instinctually and understandably do, they used their heartache as ammunition to launch the R BABY FOUNDATION and eventually their baby lifesaver app, findERnow. They were on a mission to ensure that this catastrophe would never happen to another child and family again. They set out to improve pediatric emergency care nationwide and save children’s lives. This selfless and brave couple immersed themselves in research and came to understand that the underfunding of children’s healthcare and the lack of preparedness in many ERs across the nation were alarming. 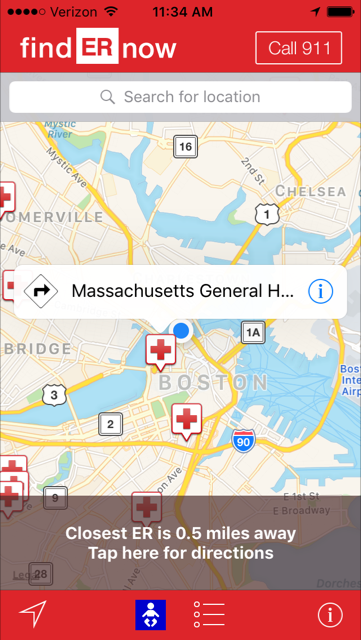 Thankfully for all of us, they (in collaboration with the Massachusetts General Hospital) founded the findERnow app which gives parents, grandparents, caretakers, camp counselors, babysitters, teachers, etc. all peace of mind knowing that regardless of where you are in the nation, whether at home or in an unfamiliar city, you can find the nearest pediatric ER that is equipped and prepared to save your child. It’s a meager $0.99 per year to download the upgraded pediatric version – but every cent goes back into the product to upgrade its lifesaving features, potentialities and continued development. 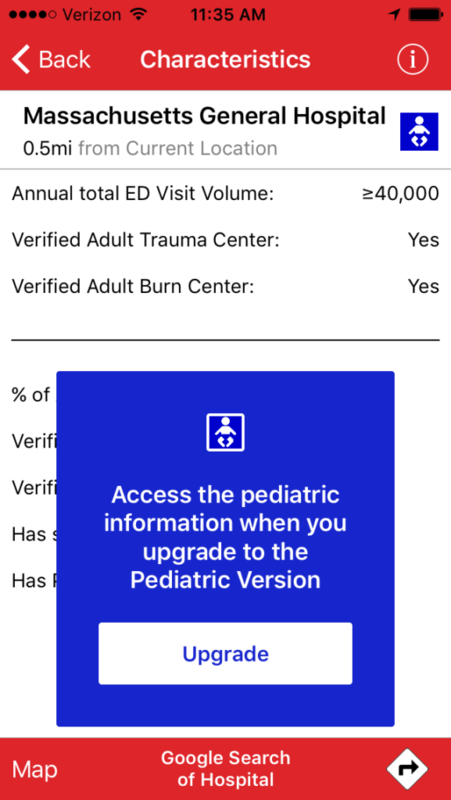 With this subscription, you receive directions to the closest pediatric ER, you gain access to information such as the percentage of annual visits from children, whether the hospital has a verified pediatric trauma or burn center — and whether the ER has a separate pediatric area and a pediatric coordinator. They are working on adding even more features. It is an honor to interview R BABY FOUNDATION Co-President and Co-Founder and findERnow Co-Founder, Phyllis Rabinowitz. She has done so much to help parents like us — I thought it was crucial to help spread her word and broadcast all that she, her husband and their R BABY FOUNDATION are doing. Phyllis, thank you so much for doing this interview. The way you and your husband are honoring Rebecca and helping other parents so they don’t suffer this same tragedy is incredibly honorable and such a generous act. Can you give my readers a little background on your family’s circumstance and how that led to the R BABY FOUNDATION and eventually the findERnow app? I had my baby and the hospital said she was healthy and we could go home. We were on Cloud Nine. We brought her home and she passed away the next morning. We later found out that she contracted a life-threatening virus. Others could fight it off – but it was something that babies were supposed to be admitted to the hospital for. The training in the ER wasn’t where it needed to be. Babies are not mini adults…They are babies! Babies show symptoms differently. It’s a very different and specialized field of medicine. We were depressed and asked ourselves how could this happen? We delved into a lot of research and we learned that not all ERs are the same. My husband and I both have graduate degrees, we live in a nice neighborhood – and we figured that any nearby ER would be equipped. And not to say that they’re not – but some were more prepared than others. A lot of hospitals need to improve their preparedness. Ever since we started R BABY, our mission has been to improve healthcare for babies in emergency situations. We are making a lot of improvements though and we want to make sure that hospitals have the latest training. And ever since we created R BABY, people would ask, Where do we go? What should we do? So it’s been an ongoing goal to create. Google only shows where the closest ER is – it doesn’t show you where you should bring your baby for an emergency. Hopefully, through the $0.99 subscription, we can continue to invest in the app and other great features. Thank you for sharing that with us, Phyllis. I purchased the app and it has crucial and incredible information. What is unfortunate but important for me to know, however, is that none of my nearby hospitals have verified pediatric trauma or burn centers. At best there is a pediatric coordinator. So what do I do from here? I’m in LA where everything is spread out. The closest one is the Los Angeles Children’s Hospital and that is 20 miles away from me. What should families in my situation do? If there is an emergency situation like a breathing issue you need to go to the closest ER no matter what. Anything that is imminent within seconds. Most hospitals will stabilize you and then transport the child. If your child breaks an arm or there is a concern where you have some time, I would take the time to go that extra 5 miles as they’re more likely to be prepared and the diagnosis is likely to be more accurate. And this is the reason we created the app. Parents need to call their local ER and ask why they don’t have pediatric ER care (if they don’t). It starts creating a demand and communication. With R BABY, we have been able to team up and create collaborations between expert hospitals like the Children’s Hospital with other hospitals that are less equipped. We have been creating these ongoing relationships. How did you end up collaborating with the Massachusetts General Hospital? One of our [R BABY FOUNDATION’S] team doctors is Dr. Marc Auerbach — and he’s amazing. He works at The Yale School of Medicine and he does all our simulation training programs. He has been working with us for 10 years and he knows that we’ve been wanting to do an app. When we talked about it with him, he understood everything right away and agreed to move forward with it. The hospital has been amazing to work with. We’re very happy that it’s a dialogue. This sort of awareness is extremely beneficial for families with kids with food allergies or ongoing medical issues. And we’re trying to add even more app capabilities which why it costs $0.99. We put that money right back into the app to make it even better. 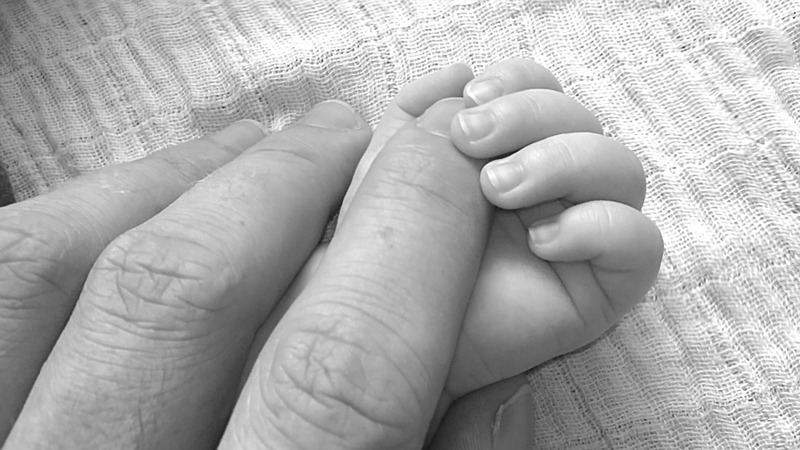 How can the R BABY FOUNDATION serve as a support system for parents who have lost their children? It’s a support group for those who need medical attention or a physical support group. Talking to other parents can help create some strength. I’ll be honest though. When people first lose their babies, they don’t want to talk about it. Or they’re not ready. It’s very painful to lose a child. It’s incomprehensible. You have all these hopes and dreams and you’re on the highest high from a new baby…to the lowest low. It lets people know that they’re doing something and they can benefit other children. We’re here for them. Me, my husband, The R BABY FOUNDATION family…we’re all here for each other. What other projects does R BABY have in the pipeline? Well, the findERnow app is the most recent. And the more downloads we get, the more we can upgrade the app. We’re also always working on continuing grants, sponsoring ERs and going in and assessing them and training them. Ongoing training is something we’re proud of. We’ve done hundreds of hospitals and we want to do thousands! What is a question you wish I had asked but didn’t? Anything that would encourage my readers to download your app or be a part of your R BABY FOUNDATION? I’d definitely say that this is a must-have app for all caregivers. It’s a no-brainer. Why wouldn’t you have it? It’s essential. It gives everyone peace of mind knowing it’s another tool in children’s healthcare. We need to make the change and ensure this doesn’t happen to other families. We need to collaborate with the medical community and make this a very positive movement. ++ Thank you, Phyllis for your words, this interview, your bravery and generosity. What you and your husband are doing with the R BABY FOUNDATION and your baby lifesaver app, findERnow is life changing and tremendous. Thank you.